A reliable source for Filter Manufacturers information and a resource for accessing leading Filter Manufacturers and suppliers. Filtration systems are designed to separate or clarify a process stream through the separation of elements and the removal of suspended debris. Filters consist of filtration media and housings or a frame. They also often feature additional chambers for the storage of contaminants or the passage of process streams onto their next destination. Filtration Systems Filtration systems are designed to separate or clarify a process stream through the separation of elements and the removal of suspended debris. Filters consist of filtration media and housings or a frame. The overall purpose of a filtration system is to make the air or fluid as clean as possible and as clear as needed for a specific application. They may also have secondary goals like retaining the suspended solids, retaining the cake, or retaining the clarified fluid. A tremendous number of industrial materials require constant filtration to optimize operations and/or comply with industry-specific regulations. Just a few examples include coolants, corrosive chemicals, gasoline, oil, diesel fuel, hydraulic fluid, lubricants, drinking water/bottled water, hard water (softened in water softeners), inks, dies, paint products, air intake, and exhaust air. Water and air filtration systems are used in a wide variety of industries, including wastewater and water treatment, recreation (e.g. pool filter cartridges), healthcare, food and beverage processing (e.g. refrigerator water filters), chemical, pharmaceutical, mining, pulp and paper, automotive and agriculture, among others. Humans have been using filtration systems in some form or another for thousands of years. The earliest indication of filter use that we have comes from ancient Egyptian hieroglyphs. Painted on tombs around the 15th century BC, these hieroglyphs indicate that at that time, those particular Egyptian people filtered their drinking water using sand. The next significant record of filter use we have comes from Hippocrates, a Greek physician who lived from circa 460 BC to circa 370 BC. Hippocrates was known to encourage his patients to treat water before drinking it by first boiling it, then running it through a cloth bag. Today, we call this bag, which was effectively a sieve filter, the Hippocratic Sleeve. Next, in the 8th century AD, an Arabian alchemist named Gerber purified water using rudimentary stills. Jumping forward several hundred years, Sir Francis Bacon inadvertently discovered the existence of pathogens living in water. This was in 1627, when he unsuccessfully attempted to use sand filters to desalinate ocean water. Based on his unsuccessful attempt, later scientists, Robert Hooke and Antonie van Leeuwenhoek invented the microscope, so that they could study these pathogens. This would eventually lead to the invention of filtration devices that can capture such pathogens. In 1804, a Scotsman named John Gibb discovered that he could use sand filters to purify water. Realizing the lucrativeness of this discovery, he began selling this purified water out of his textiles bleachery. In 1839, using a refined version of Gibb’s filtration process, investors opened the first public water treatment plant in England. Located in London, it was called Chelsea Waterworks. People had the opportunity to witness firsthand just how important water filtration systems are, when, in 1854, SoHo, London experienced an outbreak of cholera. A physician named John Snow was able to locate the source of the disease, germ-ridden water. The River Thames had become filthy and dangerous because the district of SoHo did not have a sewer system. Without one, human and animal waste, among other kinds of filth, in this area gathered in overflowing cesspools. The city government’s solution was to dump the cesspool water in the River Thames, which was also the city’s water source, contaminating it. Based on Snow’s discovery, the city of London began to reform their water filter and sanitation systems shortly thereafter. Within four years, all of Great Britain was adapting water purity standards. Meanwhile, in the United States, the government did not create the first drinking water purification standards until 1914. Even then, they did not enforce standards across the country until the 1940s. Around thirty years later, in 1972, the government passed the Clean Water Act, which required industrial manufacturers to reduce the waste they were putting out into public drinking water. This move made filtering systems more important in the United States. Students at UCLA created membrane filtration during the 1950s. With high flux membranes, they found that they could efficiently desalinate seawater. Later, students at the University of Florida studied reverse osmosis. The water treatment plant in Cape Coral, Florida, was the first to use a reverse osmosis system to clean water. That was in 1977. Within eight years, that facility was cleaning around 15 million of potable water every day. Since then, filtration systems have become more important and more capable. In addition to water health, the public and the government alike are now very concerned with decreasing air pollution. As we all continue to attempt to treat the environment better and live healthier lives, filters will only become more important. Today, we have filters in everything from water bottles to pharmaceutical factories. There are many different filtration system varieties. Vacuum filters pull dirty process streams into filtering screens by creating a vacuum effect. They do this by creating a level of pressure on the outlet side of the filter that is less than the pressure of the surrounding atmosphere. Vacuum filters are very popular types of filter media. Pressure filters are similar to vacuum filters. They use pressurized or compressed air to pull a process stream to and through their filter medium. Inside the filter medium, the pressure filters remove suspended debris and separate materials. Membrane filtration systems use a porous film or thin sheet as filter media. Membrane filters permit the movement of water and air, while restricting the flow of particles. Membrane filters are very common; some of their applications include water desalination, bacteria removal, and blood purification for dialysis. Generally, they are automated and compact. Industrial filters cleanse and physically or mechanically separate elements in air, gas, and fluid lines utilizing several different filtration methods. Industrial filters are often indispensable parts of the processes in which they are applied. Surface filters filter fluids using various types of strainers or screens. Examples of common surface filters include bag filters, membrane filters, and cartridge filters. Oil filters are application-specific filters. Oil filtration systems are essential to the success of all equipment that runs using oil, including automobiles, agricultural vehicles, hydraulic cranes, and the like. They filter contamination and particles out of all types of oil, including hydraulic oil and motor oil. Gravity and centrifugal force filters use hydrostatic or rotational pressure, which remove heavier particles from the flow line. Coalescing filters are another example of a more application-specific type of filtering system. Their job is to catch and remove vapors, mists, and oil from air streams. Coalescing filters work by forcing gas through their filter media, where the unwanted particles gather, or coalesce on the surface, before they drain away. Meanwhile, the now-clean air or gas stream passes through the filter. Some of the air streams that these air cleaners process most often include those inside natural gas filtration systems, automobiles and transportation systems, HVAC systems, food processing systems, and pharmaceutical systems. Chemical filters function by either dissolving specific contaminants or attracting them and, through the use of gravity, pulling them from the system. They do so with the assistance of a chemical medium, like activated charcoal or a carbon filter. Chemical filtration is especially popular with gas filtration and drinking water filtration. Water softeners also use chemical filtration; they treat hard water with sodium ionization. Biological filters use digestive microbes like diatomaceous earth to remove unwanted organic compounds. Biological filtration is not as common as chemical filtration, but it is thoroughly effective. There are two main types of filtration systems that depend upon the use of electrical charges to purify air and fluid supplies: electrodialysis (ED) and electrodialysis reversal (EDR) systems. Ceramic filters are water filters that catch particulates using the small pores of ceramic material. Electrodialysis (ED) uses membranes that allow the passage of either positively or negatively charged ions while excluding the passage of the opposite. Electrodialysis reversal (EDR) systems are a common alternative to ED membranes because ED membranes clog easily. EDR systems work in the same way as ED systems, except that they periodically reverse the electrical current in order to exchange the fresh product flow. Reverse osmosis (RO), electrodeionization (EDI) and ultrafication (UF) processes are less common but equally efficient options. Each type has benefits and advantages particular to specific filtration applications. HEPA filters, or High Efficiency Particulate Air filters, can capture and remove up to 99.999995% of all particles they encounter. They do so using layers of fibers that filter like sieves, then impact the particles or diffuse them using electrostatic attraction. To qualify as a HEPA filter, the filter must meet DOE (U.S. Department of Energy) and NIOSH (National Institute for Occupational Safety and Health) standards. HEPA filters are extremely common in respirators, industrial cleaning equipment, and air circulation systems in airplane cabins. ULPA filters, or Ultra Low Particulate Air filters, are designed to filter up to 99.999% of particulates sized 100 nanometers (0.1 µm) or larger from the air. Examples of particles that ULPA filters target include bacteria, mold, dust, and pollen. HVAC filters are any and all filters that assist in the cleaning of air and/or fluids for HVAC applications (heating, ventilation, and/or air conditioning). Common applications in the HVAC field include furnace units, window air conditioning units, central air conditioning systems, heating pumps, air pumps, and the like. Technically, furnace filters and air conditioner filters may also be called HVAC filters. Variable filters are filtration systems that use a combination of the aforementioned products and methods of filtration in conjunction with one another. The use of variable filters allows for more complete processing of a given gas or fluid supply. Progressive filtration systems consist of several of the same type of filter media in a single system. Placed in short succession with increasingly high restrictive properties, these systems progressively increase particulate separation. They effectively improve filtration as well as improve the longevity of filtration products. The latter is because progressive filtration systems are less likely to clog and require cleaning or a replacement filter. Industries that require solids recovery often utilize this type of progression filtration because it pre-sorts contaminants based upon material size. When designing a filtration system, manufacturers must consider a number of factors, including filtration rate, filter location, stream viscosity and temperature, filter load capacity, maximum flow, absorption, and pressure drop or the ability of the filter to function through continued use and blockages. Filtration rate is the speed at which a stream can be forced through the filter while still providing maximum particulate removal. Stream viscosity and temperature influence the material construct of a filter, as the three must be compatible. Load capacity, flow, absorption, and pressure drop all rely heavily on the specific design of a filter and can impact production rates and filter efficiency. Before designing a filtration system, manufacturers also take into consideration estimated particulate sizes, and any and all slurry that the filter will encounter. They also must consider whether the operator will be using continuous or batch loading. They do so because, in order for the filter system to work, the filter materials must be compatible with the materials to be filtered. To construct a custom filtration system, manufacturers can use a wide range of materials, including aluminum, plastics, steel, stainless steel, Teflon, carbon, nylon, resins, sand, and a number of synthetic fibers. To separate materials in a mixed process stream, manufacturers can select one or more different methods, including membrane filtration, foams and other materials, and/or the use of gravity, centrifugal force, chemical solvents, biological agents, and even electrically charged apparatuses. Technical Committee 131 of the International Organization for Standardization (ISO) maintains regulations applicable to all types of filtration. Other organizations that release regulations or guidelines related to filtration, worker safety, and/or environmental protection include OSHA, the EPA, ASTM, SAE, ANSI, and more. To find out which standards your filtration system should adhere, talk to your industry leaders. To get the best results, whether you need to clean process air at your manufacturing facility or you need to run an air conditioning machine, you need to partner with an experienced filtration system supplier. To help you on your way, we have put together a list of some of filtration system manufacturers that we trust. Sift through these manufacturers until you have a top three or a top four. Then, call each of them to discuss your application. Remember to discuss details like your budget, your deadline, and your delivery preferences. Once you have done that, compare and contrast your conversations.  Determine which manufacturer can offer you the best services and get started with them.